On Wednesday, French President Emmanuel Macron confirmed he was canceling the planned increase in fuel taxes. Just a day earlier he had announced that the implementation would be delayed by six months. Will this be enough to pacify the “Gilets Jaunes” (Yellow Vests)? Further demonstrations are planned this Saturday. 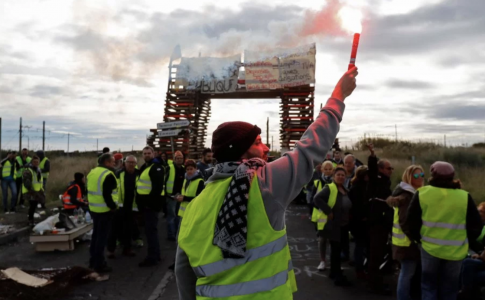 The vast majority of the Yellow Vests, however, considered this delay a provocation. President Macron was offering too little, too late. This was reflected in calls for another mobilization this Saturday, which could further weaken the government. Already, there have been massive mobilizations across the country, roadblocks and destruction of property. It is estimated that over 75,000 people participated. In the past few days, high school and university students have joined the protests, occupying over 100 schools and universities across the country. The following day, Macron had to disavow Prime Minister Philippe’s proposed delay and cancel the fuel tax increase entirely. However, it is unclear if this second retreat will be enough. 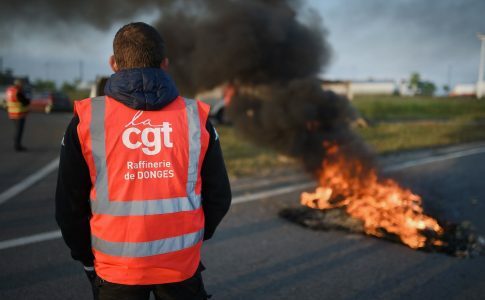 The government is trying to pacify the movement by canceling the fuel tax while leaving a host of unpopular measures in place – this includes austerity measures implemented in the last year, and many more planned for the remaining four years of Macron’s term, including attacks on pensions. 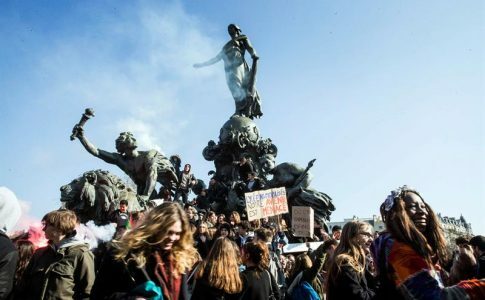 Although the movement was sparked by the proposed fuel tax, demonstrators are now calling for a reinstatement of the wealth tax (ISF) which Macron cancelled at the beginning of his term, as well as an increase in the minimum wage. Prior to its cancelation, the wealth tax had been paid by people with assets above 1.3 million euros. 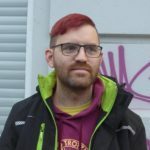 The Yellow Vests, who see their living conditions deteriorate while regressive and indirect taxes on the working population increase, are angry that the tax burden for millionaires has been being reduced. The Yellow Vest movement has dealt a massive blow to Macron’s popularity, which is now around 20% – the lowest since he took office. There are calls for “Macron resignation!” heard across the country. Seven in ten French people support the recent protests. The occupations, roadblocks, and demonstrations of high school and university students are a sign that the movement can expand and lead to a convergence of different struggles. 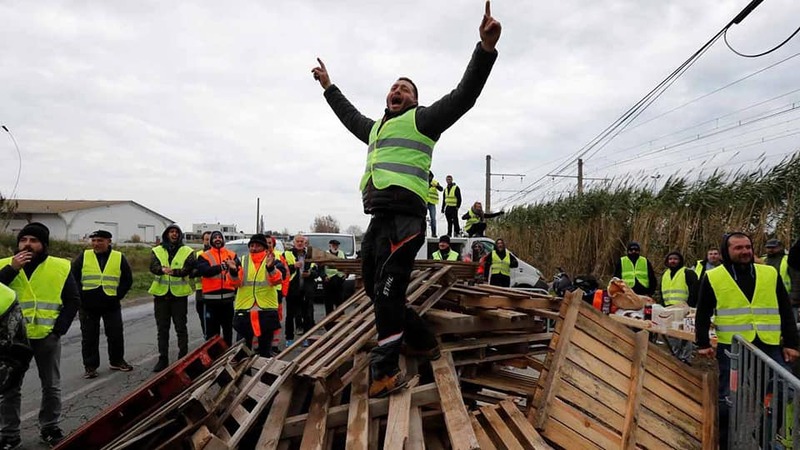 The Yellow Vest protests have the support of many workers, as well as the active participation of some sectors of the working class. Many of these workers led their own strikes in the past year, including railway workers, teachers, and healthcare workers. 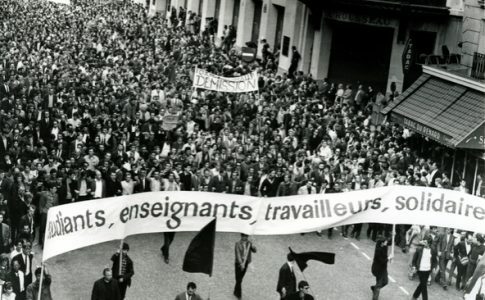 However, the bureaucratic leaders of the trade unions prevent convergences in the streets between the organized and unionized working class and the Yellow Vests. They have refused to call for actions, such as a general strike, which would allow the cry of “Macron Resignation” to become a reality.